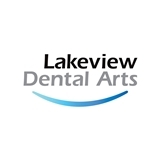 Lakeview Dental Arts (Chicago) - Book Appointment Online! Lakeview Dental Arts, the newest Lakeview dental office, opened September 27, 2013. Dr Scott Overholser, Lakeview dentist, and the staff at Lakeview Dental Arts promise superior customer service, brand new digital dental equipment, and the expertise and precision you would expect. We are now accepting new patients. Call or email us today! Our dental office is conveniently located on Broadway between Belmont and Wellington in Chicago’s Lakeview neighborhood. Lakeview Dental Arts welcomes patients of all ages. We have morning and evening appointments to fit every schedule. We accept most PPO dental insurance and have affordable payment plans to fit every budget, including the popular CareCredit. Our dental office is a proud member of the Lakeview Chamber of Commerce. Great office and staff. Dr. Overholser was professional and kind. I highly recommend.